At the most fundamental level, Stage 9 Exhibits, builds and tours interactive, modern, eye-catching exhibits for museums, science centers, and other special events. Dig a little deeper and you'll quickly see that we offer a full range of service from building custom exhibit installations to specialized manufacturing and program management. Since 1999, we have served a wide range of clients throughout the world. We are passionate about our craft and together with our partners, we take pride in providing the most exciting and truly unique themed exhibitions possible. Stage 9 Exhibits owns, operates, and tours six internationally-acclaimed exhibitions including: Expedition: Dinosaur, Hall of Heroes, Toytopia, POPnology, The Animation Academy, Sweet: A Tasty Journey, and Rock U: The Institute of Rock “N” Roll. 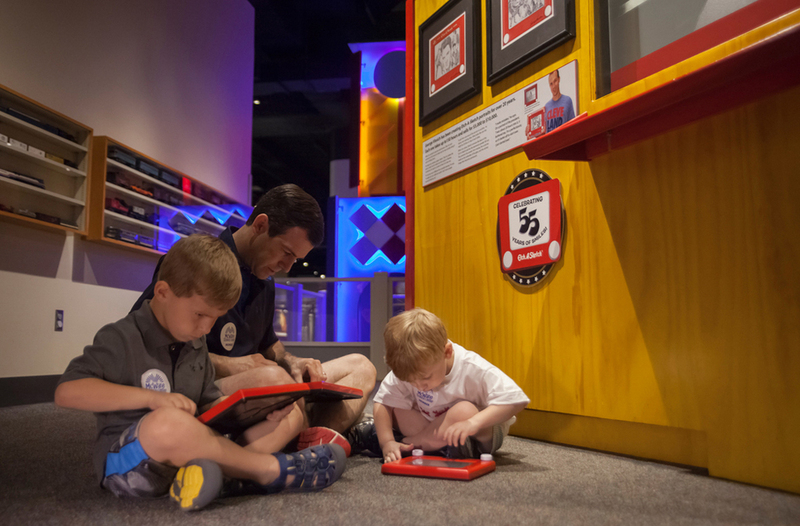 Our exhibits are based on an understanding of popular culture and our ability to use it as a basis for interactive, educational exhibits. We are proud to present our six current exhibits and to announce our newest exhibit "Exhibition: Dinosaur"
Venues consistently report much higher attendance, sometimes double the numbers of other exhibits. Our in-house experts create world-class exhibits at lower cost than companies that outsource, so we're able to charge lower booking fees.